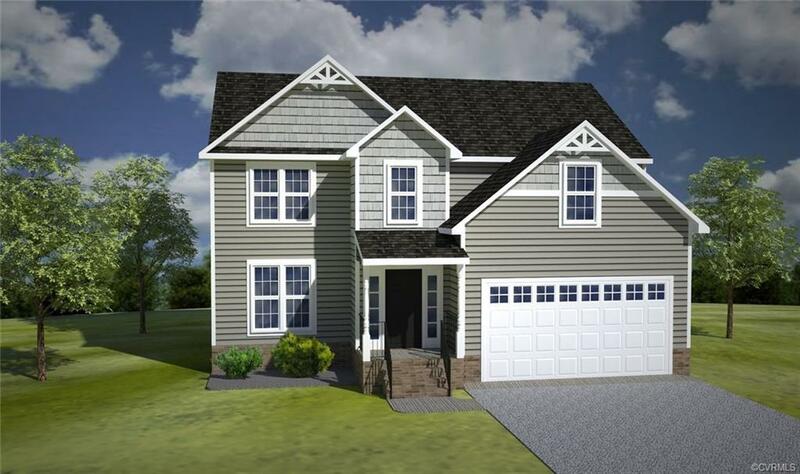 1413 Twilight Lane, Chesterfield, VA 23235 (#1836474) :: Abbitt Realty Co.
"NEW HOMES STARTING IN THE $220'S' "The Brookwood" by Liberty Homes Features include formal foyer and dining room with Engineered Hardwood floors, Hardwood steps,great eat-in kitchen with bay window, very open to the great room with large deck overlooking the backyard,Upstairs master suite includes Luxury bath with soaking tub and separate shower, double bowl vanity sink..Three other bedrooms along with the hall bath are also upstairs.Two car garage with paved driveway is also included!! Listing courtesy of Metro Realty Services Inc. Listing information © 2019 CVRMLS and CBRAR.